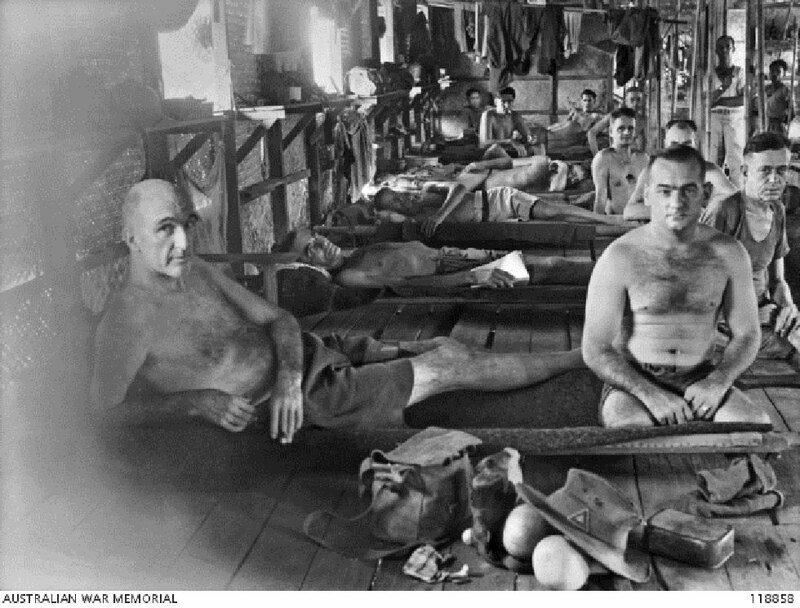 Chronically ill patients whose health broke down in the Burma and Thailand jungle during construction of the Burma-Siam Railway, most of whom have been patients in War 19 of Nakom Paton Hospital for over 12 months. Identified lying on a bed second from front is Corporal Charles Augustine Howard. Image taken 19 September 1945, courtesy of Norman Bradford Stuckey, Australian War Memorial. The defendant was a member of the Japanese forces in the Andamans, overseeing road construction by local coolies. He was charged with committing a war crime in that he was involved in the beating, torture and maltreatment of one such coolie, thereby causing his death. The evidence suggested that the defendant sought to create an example of the victim by beating him for refusing to work for the Japanese. The defendant himself claimed he slapped the victim a few times as his superior officer had ordered such and he did not wish for the other Japanese officers to hurt the victim excessively. The defendant further claimed that the victim did not die of this beating, but of malaria instead. 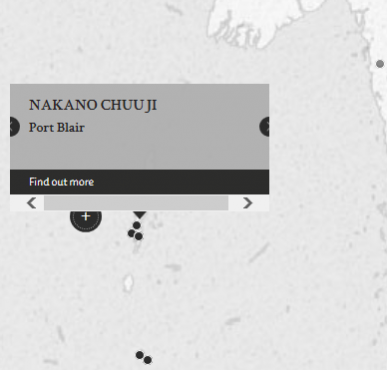 A newspaper article reported the defendant's speech to the other civilian residents of the Andamans, where he denounced the victim as a British spy for refusing to work for the Japanese, and threatened the rest with similar punishment should they act similarly. Nakano, Chuuji. Superior Petty Officer. From Japanese military. From Japan. Guilty. Death by hanging. Sentence confirmed. Peacock, G.A. Lieutenant Colonel. From British military. Court president. Barrister-at-law. Vine, P.A.L. Captain. From British military. Solicitor. Fukushima, Sachio. Prosecutor, Local Court Tokyo. Crewdson, R. Captain. From British military.